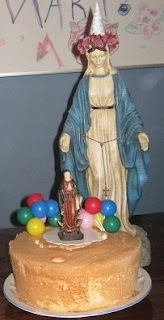 Home » Mother Mary » Our Lady (All Posts) » Happy Birthday Mary!! Our annual birthday party for Mother Mary was lots of fun! 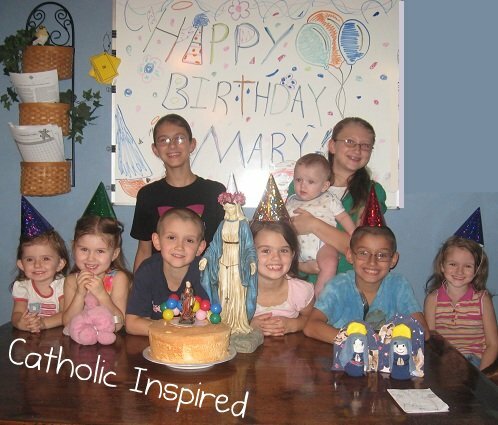 But Abby (age 4) was just worried that Mary wouldn't come! So she allowed our statue of Mary to stand in for the real Mary. Blessed were we the day of your birth!